The six years at UCD brought me in contact with many people, not only those who were in college with me but also those who had preceded me in the college. Most of my friends were medical people - very many were related to the rowing club and during my post university period whilst I was in London and then back in Dublin I remained friendly with quite a number of these colleagues. They were scattered around the world during and after the war. Some joined the war itself and our most popular and most admired captain of the rowing club was killed by the Japanese early on whilst in a prisoner of war camp. During the war, because so many British doctors joined the armed forces, many Irish doctors, including some of my friends from UCD, replaced them in Britain as locum general practitioners. A few of these were in London as was I, and several others were scattered around England. I need hardly say that we were very busy but from time to time we went to meetings and thanks to these occasional meetings we had our moments. Times were hard in London with great difficulty getting cigarettes and beer but that did not deter us from enjoying ourselves occasionally. 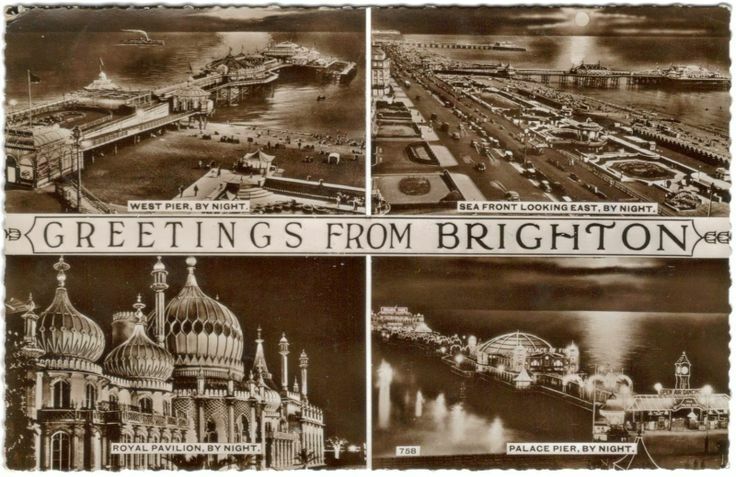 On one August Sunday, four of us met at the Cumberland Hotel to drive to Brighton. 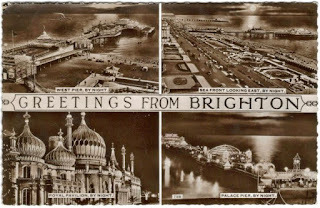 We left the hotel at midday and after a few unscheduled beer stops on the way; we arrived in Brighton at about midnight. We were to find that all the hotels were booked up and it was impossible to find accommodation of any sort, let alone an open pub. We were obliged to leave Brighton and travel out the coast road towards Hove searching for accommodation but without any success. After some miles we spotted a large grass area, which appeared to be suitable for parking the car and spending the night. I slept in the front of the car whilst one of the others slept in the back. The other two slept outside in the open as it was a balmy, warm night. Hardly were we asleep when there was a terrific outburst outside of the car. Four or five gentlemen dressed in the finest livery were shouting and abusing our companions. The gentlemen were appalled by the sight of us and our car. 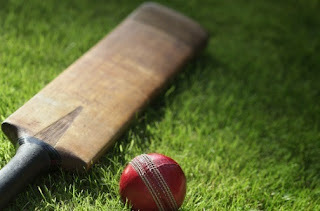 We found ourselves parked on a beautifully manicured cricket pitch, surrounded by perfectly mown tennis courts and overlooked by a magnificent hotel. It was a very embarrassing experience but we managed to talk them out of our dilemma because of the failure to find suitable lodging for the night and we parted on surprisingly happy terms which I am glad to say I always found was achieved by the high respect we always showed to our English hosts! 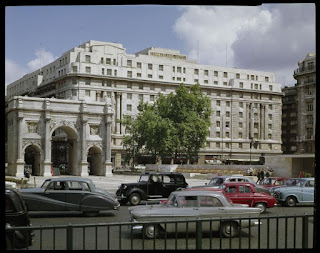 The first experience we had with continentals after the war was in the early 1950’s. The same four people were involved. We traveled over to France for a week’s holiday. We planned to spend a few days in Paris and then drive to the South for rest of the time. 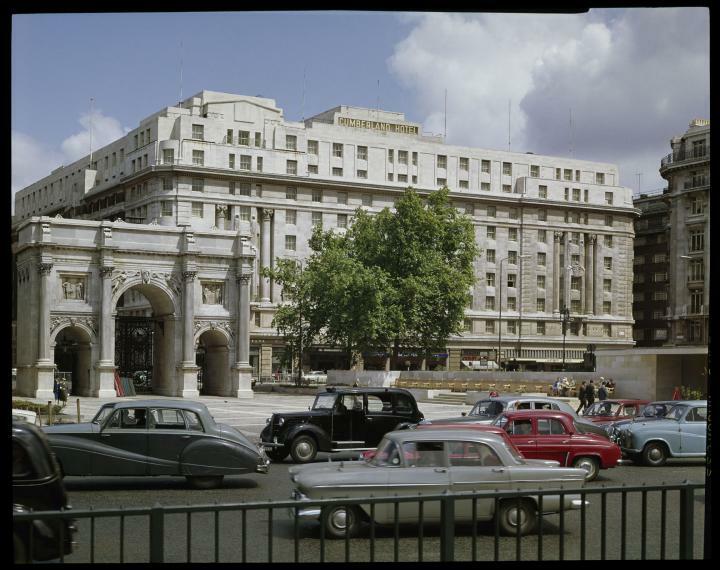 There were strict rules upon the British at that time that for fiscal reasons, no more than twenty-five pounds sterling could be exported to the continent. 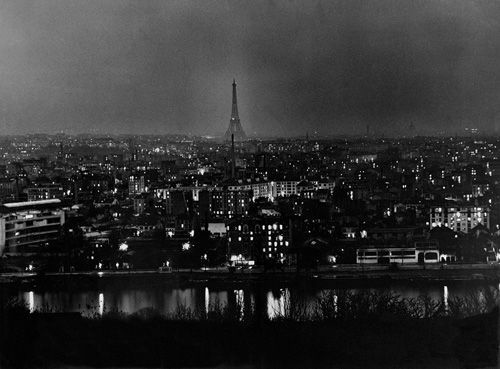 The four of us arrived in Paris with our twenty-five pounds and we booked into a hotel at a pound a night. We were excited by being in that great city for the first time and visited a famous local brassiere on the Left Bank where we met with a very happy and enjoyable group of locals who had not met any Irish people before. The French lads appeared to me to be just as intrigued by meeting us as we were about meeting them. A singsong started. The music and song was quite interesting - many Irish songs were sung and some French. The French were fascinated by the unaccustomed singing and despite the different languages, we appeared to have little problem understanding each other. We were refreshed by the fact that there was no such thing as ‘closing time’. At about 8.30 in the morning, we were eventually ejected by the cleaners. We had left our luggage in the hotel where we were to sleep that night and we went to the baggage room to collect it. I’m not sure if we paid for our rooms but we got away safely with the English language as a source of confusion and consternation and with the Mother and Father of all headaches. When we had sobered up enough to appreciate our situation we found that we had spent exactly 50% of the allowed £25 pounds. We were left with £14 per head to get us through the rest of the trip. The hotels we knew would cost £1 for bed and breakfast, the other costs would include travel, petrol, food and various other expenses. It was clear that the expenses facing us exceeded the amount that was available to us at about £30 in all. By putting aside a limited amount for travel and for the payment of the hotel, we realised that we were seriously short of money. We had to maintain the strictest control of our expenses. That included food at the cheapest possible price and the liquid material of the cheapest sort too but it was sufficient to satisfy our needs! We found some of the publicans generous to a degree in that they allowed us to absorb some of the ancient bottles on the top shelf which they had failed to dispose of in the past. Our paucity of cash did not appear to interfere with the enjoyment of our trip which included mixing with some of the local people including females and visiting the local “sheebeens”. We were keen to participate in such entertainments as dancing where numerous opportunities were available for the single male including us Irish oddities but I am sorry to say, looking back, my only memory of a dance I attended was leading my partner home and up the steps of her house where I made to give her a kiss. I still remember the horrified look on her face as she fell back in a panic and she put up her hands and said “Tuberculose! Tuberculose!” That put a rapid end to my romantic affair! Our travel home from the Mediterranean to Calais was carried out without food and, even more tragic, without alcohol.